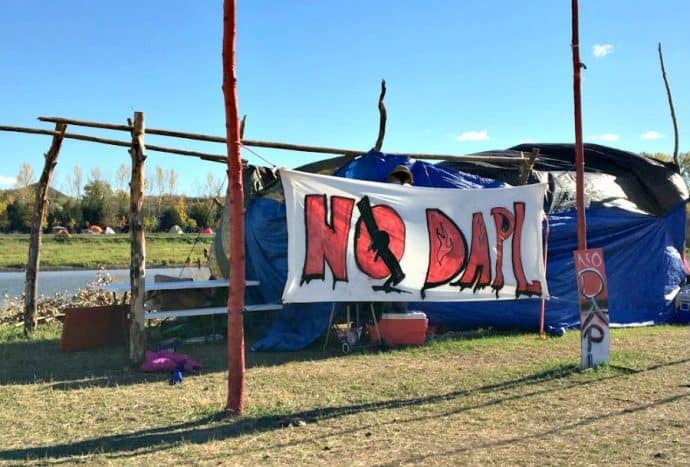 Members of North Dakota’s Standing Rock Sioux tribe (along with thousands of their fellow American Indians and allied supporters) have been camped at the Standing Rock Reservation for over 6 months now. 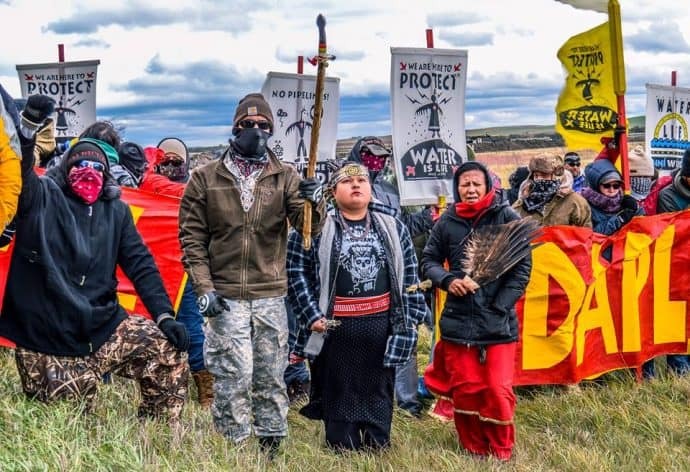 They’re there to protest the construction of the Dakota Access Pipeline, which they insist infringes upon tribal lands ceded to them in a historic treaty and which potentially will pollute the drinking water they need to survive. Along the way the Standing Rock Sioux have faced attack dogs, rubber bullets, beatings and arrests in their attempt to protest peacefully. 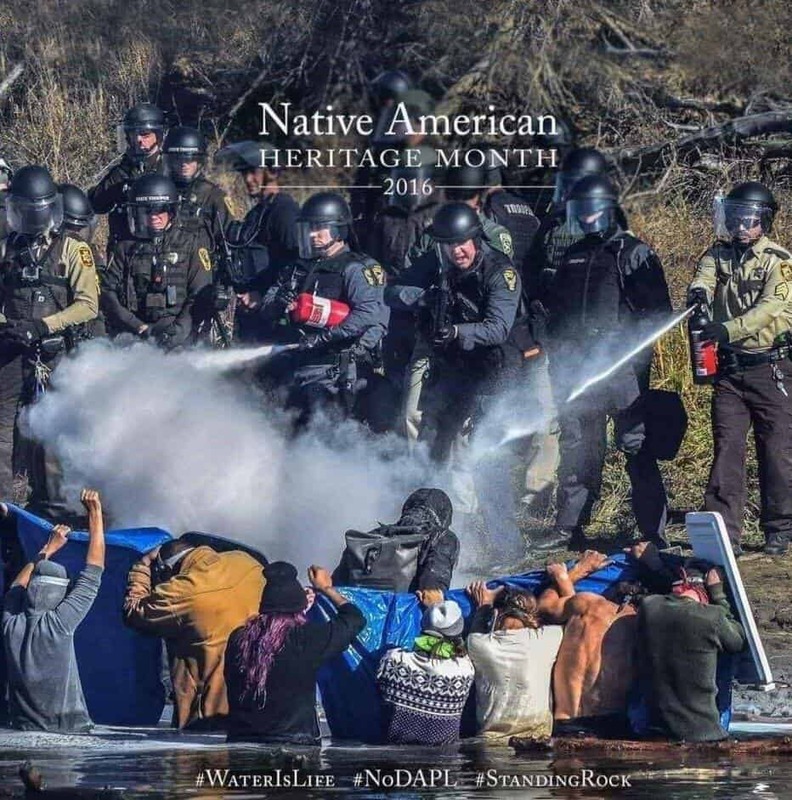 The weekend before Thanksgiving, the situation becalm even more charged with tension as Morton County police sprayed a crowd of nearly 400 people with tear gas and water as temperatures dipped below freezing. 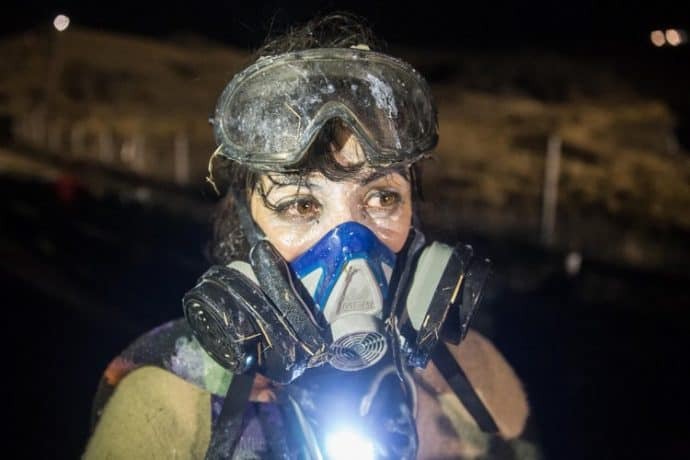 In late September I spent a night at the Sacred Stone Camp to show my support for these brave water protectors. At the time, conditions on the ground felt peaceful. 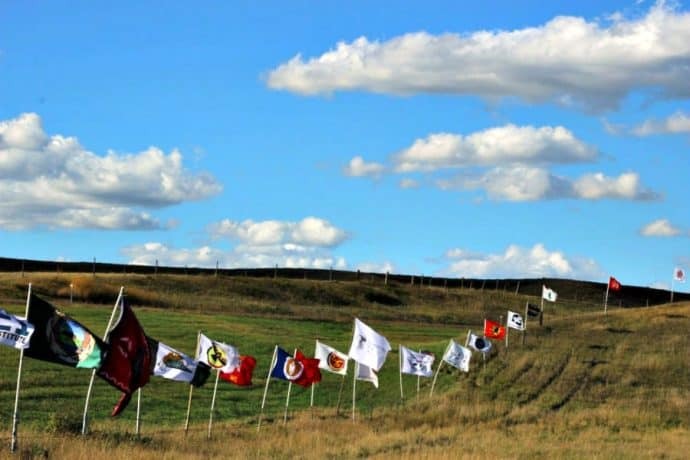 Prayer and song drifted in and out of hundreds of tents scattered across the golden grass of North Dakota, right on the beautiful banks of the Missouri River. I conversed with people of various American Indian cultures, of which I knew so little. I heard their stories while sharing food and the warmth of campfires in a welcoming communal gathering. I felt the pain in their voices as they told me how little our country cares about them. I’d never really know an ounce of that pain, which has been compounded by centuries of abuse by both the U.S. government and corporations like Energy Transfer Partners (the company behind the DA pipeline). 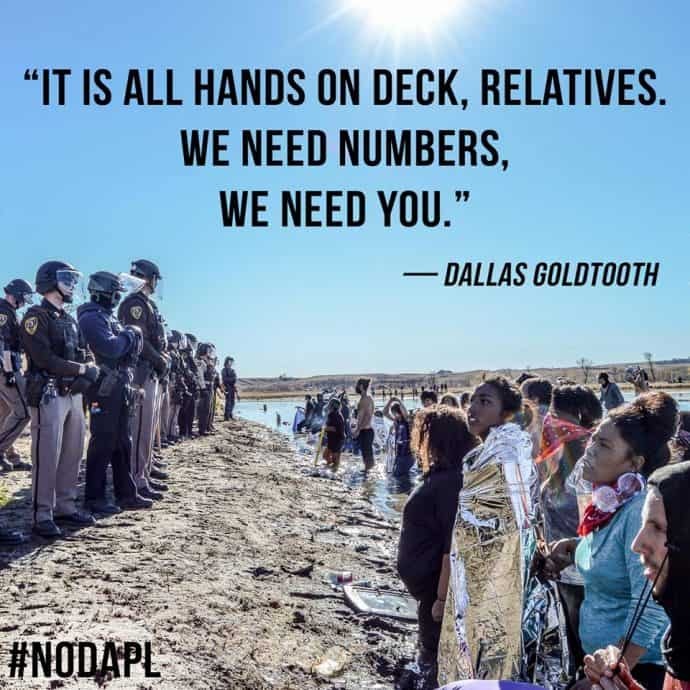 Since my night at Standing Rock, our country has elected the most divisive President in history. This is a man who has aggressively attacked so many minority groups and marginalized people, it’s hard to keep track. Donald Trump has made it clear he’s less concerned with the environment than President Obama, and has promised more drilling for oil, fracking for natural gas, and mining for coal. He even owns shares in Energy Transfer Partners, which is being sold for $21 billion. Like so many others, I’ve felt heartbroken and fearful since election night. But I know that the Standing Rock Sioux tribe is facing far greater fears than I am. To them, the #DAPL controversy is nothing new. To them, our nation’s election of a president who viciously insults other cultures, races, and sexes is no surprise. They have faced racist white supremacy for hundreds of years. 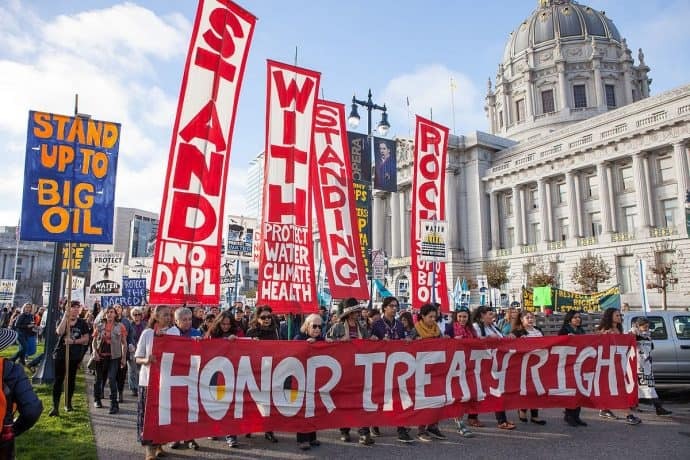 On November 15, people showed their support for the Standing Rock Sioux tribe with rallies around the world. The day before, the U.S. Army Corps of Engineers had issued a statement that they would delay the permitting process of the Dakota Access Pipeline. This is good news, but there is still much work to be done. 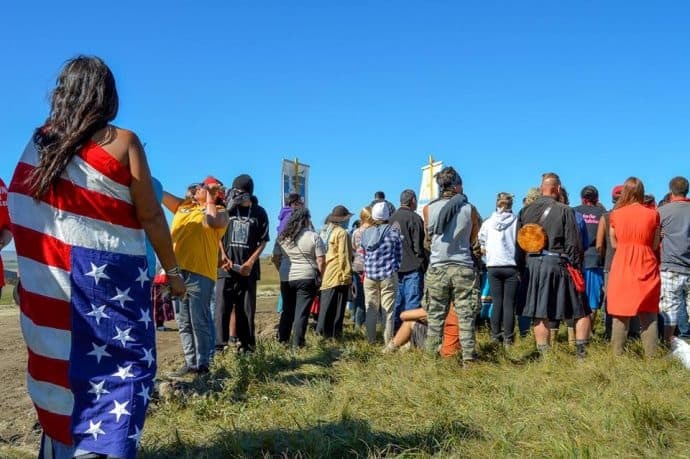 The water protectors who have been valiantly holding their ground in North Dakota are not going anywhere anytime soon. This protest is about so much more than oil and water. This protest is about people trying to protect their community and conserve its natural resources. And those people desperately need your help. 1. Educate yourself about the history & culture of American Indians. American Indian history is American history. And no, your high school history books did not provide you with a proper education. There are 562 federally recognized Indian tribes, communities and native villages. Each of these tribes and communities has their own unique culture and past. Much of this history since the original illegal immigrants– the Europeans– arrived/invaded is painful. Make an effort to learn about the very first Americans, particularly the ones closest to wherever you call home. Their religion, their arts, their song and dance, their food… there’s so much beautiful culture to absorb and to honor. Prior to my visit to Standing Rock, I attended the Indian Relay National Championships. If you’re a fan of sports, it’s one aspect of native culture you’ll definitely want to experience. 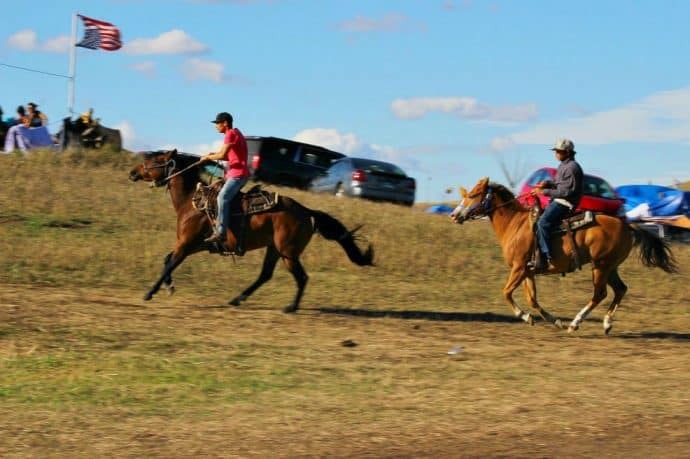 The Professional Indian Horse Racing Association is hoping an increase of popularity in Indian Relay will lead to healthier living and better opportunities for young American Indians. Not to mention, this is America’s oldest competitive sport, and many people have never heard of it. Let’s change that! 2. Lobby the Army Corps of Engineers to #StopDAPL. The Army Corps of Engineers recently stated that additional discussion and analysis of the pipeline project is necessary before continuing construction. But we have to keep the pressure on. Call their complaint line at (202) 761-5903 to voice your opinion about the damaging environmental and cultural effects of the DAPL. Post and tag them on social media. Tell them that you stand with the Standing Rock Sioux tribe and their fight for clean water. 3. Attend a #StopDAPL rally or protest. Peaceful protest is a pillar of American democracy. Americans have a long history of using peaceful protest as a method to enact sociopolitical change. The Voting Rights Act was signed shortly after Martin Luther King Jr. led the historic walk from Selma to Montgomery, Alabama. Occupy Wall Street brought the issues of wealth inequality to the country’s attention, which became one of the main talking points in Bernie Sander’s presidential race platform this year. The Standing Rock Sioux tribe protests have succeeded in delaying the construction of the DAPL, while also igniting conversation about indigenous rights around the world. By rallying or protesting in solidarity with Standing Rock, you amplify their message and help to spread it further. You force media outlets to discuss the issues they’re fighting for, like sovereign rights to their land and the right to clean water. 4. Donate money/supplies to the Sacred Stone & Red Warrior camps. Winter is looming and the Standing Rock Sioux tribe protesters are preparing to face extremely harsh conditions on the open plains. North Dakota will see heavy snow and bitter cold temperatures in the coming months. But protesters still aren’t leaving. As they prepare for winter, they need your help. 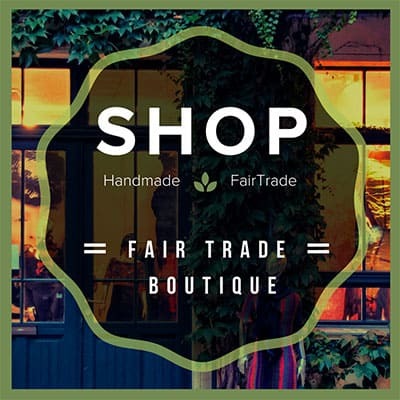 Consider donating items from the Sacred Stone Amazon wishlist. 5. Understand the significance of this moment in history. The original path for the Dakota Access Pipeline snaked through Bismarck, North Dakota– a city that is 90% white. But the path was moved due to concern over the threat posed to the city’s water supply. 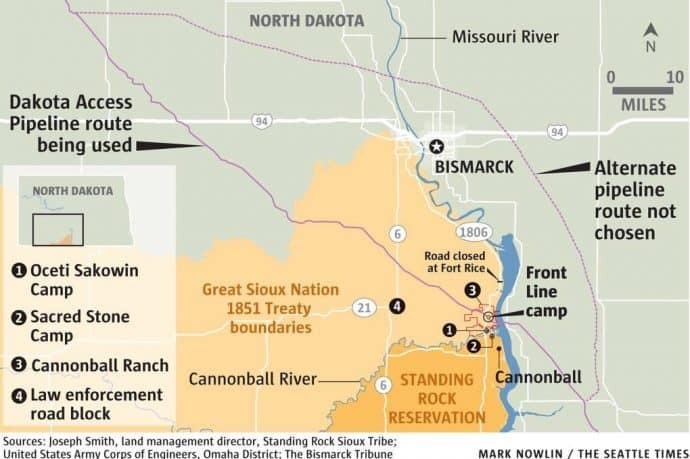 Now the path crosses the sacred land of the Standing Rock Sioux tribe, endangering their water supply rather than one that could affect white people. The Dakota Access Pipeline protest is about climate change and clean energy. It’s about protecting Mother Earth. But it’s also about so much more. This is the largest gathering of American Indians in over 100 years. The space they’ve occupied has become a place to mend conflicts between tribes, celebrate their various cultures, and force the country to acknowledge their ongoing suppression. From what I saw, this protest is bringing people closer together and raising their voices as one. 6. Go to Standing Rock and take a stand. I wish I could’ve stayed much longer at Standing Rock. The experience was an overwhelmingly moving one. By going to Standing Rock and joining the protest, you can add one more voice and one more body to the important messages they’re sending to the rest of the world. Even if you’re not an American Indian yourself, you can stand in solidarity. But please remember that this is not about you. A high level of respect for the Standing Rock Sioux tribe’s mission and the work they’ve done so far is absolutely necessary. Remember to be respectful AND responsible in your approach to any act of peaceful protest. Prepare to be as self-sufficient as possible. There are communal dinners each night, and you will be welcomed to join. But one more mouth to feed is more costly to their cause. If you plan to eat their food, bring something to contribute. I helped serve dinner to a line of hundreds of hungry campers before eating dinner myself. If you join the camp, you will be expected to pitch in. This FAQ page from the Sacred Stone camp provides additional information for those traveling to Standing Rock. 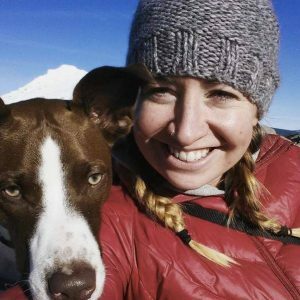 Britany Robinson is a freelance responsible travel and culture writer based in Portland, Oregon. In addition to Green Global Travel, her works can be found in BBC Travel, Mashable, The Daily Dot and more. Her blog, Travel Write Away, shares her advice and musings on travel writing. She’s also the course director for Travel Blog Success. When she’s not planning her next big trip abroad, she can often be found scoping out Portland craft beers and local hikes.